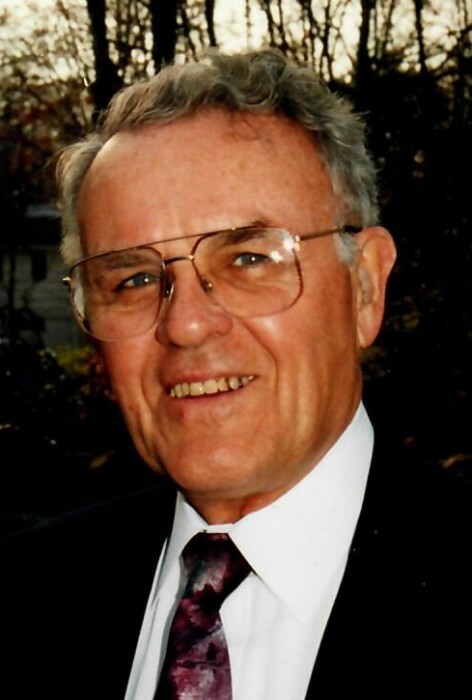 Norwich – Charles E. Gagne “Chic”, 86, of Harland Road passed away Tuesday January 22, 2019 at his home. He was born April 6, 1932 in Waterbury, CT the son of Albert J. and Lucie (Chevrette) Gagne. He was united in marriage to Cecile Du Bois on September 10, 1955 at St. John’s Church in Middlebury, CT. Chic is a United States veteran in the Navy and Army having served in the Korean War. For many years he was the owner and operator of the Cummings-Gagne Funeral Home. He was a life member of the Taftville Volunteer Fire Department, Lion’s Club, 4th degree Knight of Columbus, Daniel Mullen Assembly and Elk’s. Chic was also on the Norwich Zoning Board of Appeals and on the Sacred Heart School Board of Taftville, CT. He was predeceased by his parents, son Charles Gagne Jr., brother Arthur Gagne, sister Roma Massicotte and three grandchildren Nicholas Gagne, Nicole Ventura and Daniel Ventura. Chic is survived by his wife of 63 years Cecile (Du Bois) Gagne, six children Rick Gagne, Mark Gagne (Sharon), David (Andrea) Gagne, Ninette (Robert) Aldi, Celeste (John) Hakkinen, Mary (John) O’Donal, brother Robert Gagne, and numerous grand children and great grandchildren. Calling hours will be Friday January 25, 2019 from 4 to 8 PM at the Cummings-Gagne Funeral Home 82 Cliff Street Norwich, CT. A Mass of Christian Burial will be Saturday January 26, 2019 at 11 AM at Sacred Heart Church 156 Providence St Taftville, CT with burial to follow in St. Joseph Cemetery. The family would like to send a special thank you to Ross Adult Daycare, Dr. Alan Siegal and the special angels who took care of “Chic” on his final journey.